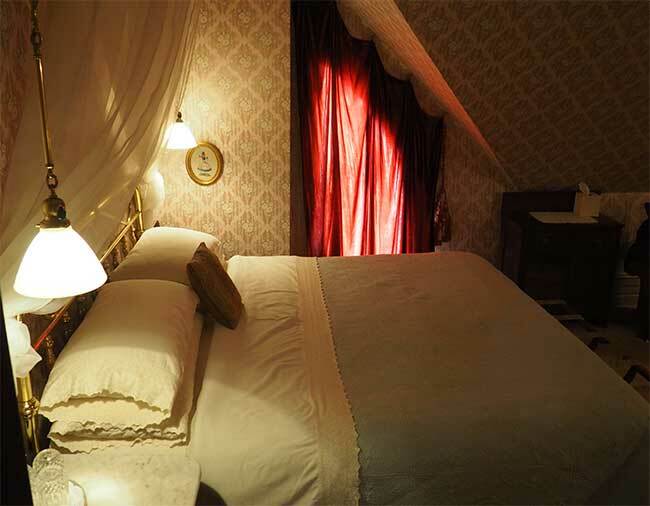 A quiet, elegant retreat, this chamber offers a lovely half-moon window overlooking Townsend Bay. The king-size white brass bed is topped with a elegant chiffon half-canopy, and the room is graced with a beautifully restored Victorian fainting couch. 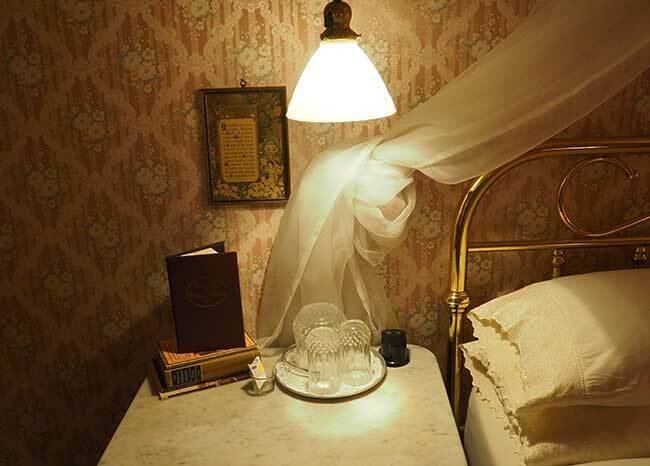 With a fainting couch and elegant canopy, this room embraces you with cozy opulence. Indulge yourself with a box of chocolates from Port Townsend's premier chocolaterie. 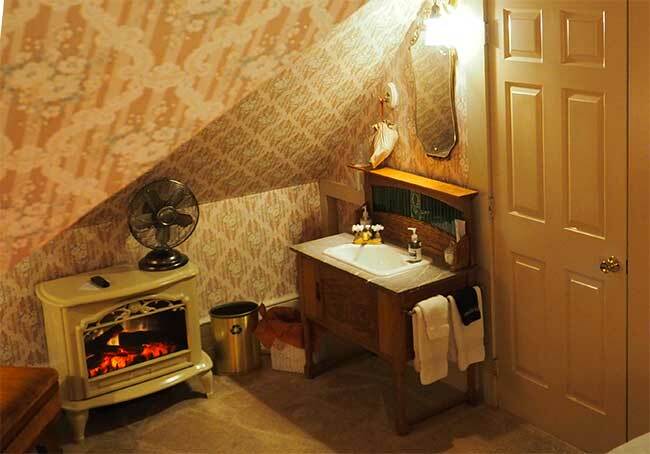 A marble Victorian boudoir sink is nestled in the gabled corner of the bedroom. The private bath features a shower.